The HPV vaccine, life-saver or ticking time bomb? Groups and individuals opposing and advocating the HPV vaccine for girls are in entrenched in a battle to win the backing of the public in the medical fight against cervical cancer. The support group, REGRET represents more than 400 young women who claim to have suffered vaccine damage as a result of the HPV vaccine. The girls, who were healthy prior to vaccination are now debilitated, many are wheel-chair bound and suffer regular seizures. Individual advocates of the vaccine accuse REGRET of being extreme and anti-vaccine. Parents of the sick girls claim that their group is regularly the target of online abuse. One Facebook account, in particular, singles the group out for criticism. The account owner remains anonymous, making it difficult to judge the authenticity of its claims. Members of REGRET suspect it is operated by someone of official status. HPV – life-saver or time bomb? Anna Cannon, spokesperson for REGRET said: “We are not an anti-vaccine group, our children were vaccinated.” What these parents want is to be heard and acknowledged. They are calling on the minister for health, Simon Harris to investigate their claims. Anna Cannon’s daughter has suffered years of pain and illness since receiving the HPV vaccine. Anna says that what is significant about the REGRET girls is that their symptoms are actually listed on Patient Information leaflet of the vaccine manufacturer, Merck. According to REGRET the patient information leaflet produced by Merck is deliberately withheld from parents by the HSE. Instead the HSE distributes its own pamphlet about the vaccine. 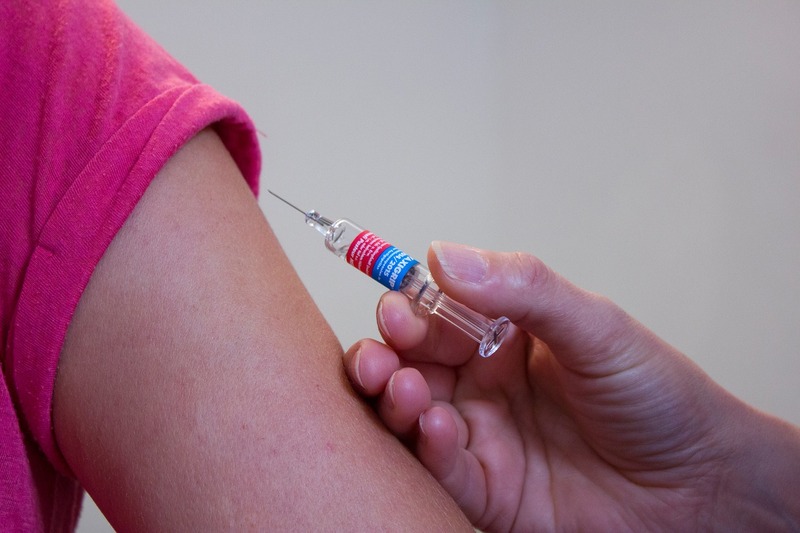 The HSE website gives some information about the vaccine and supplies contact details of local health nurses for further enquires. Two nurses contacted were unable to confirm if the patient information leaflet produced by Merck will be distributed to parents prior to vaccination. The same nurses will be vaccinating girls in secondary schools across Dublin in the coming months. Dr Sieneke Hakvoort, the senior medical officer for the HSE North Dublin region, was also unable to clarify the situation in relation to the patient information leaflet. The Irish Cancer Society advocates the use of HPV vaccine. The organisation is prompt in dealing with enquiries and eager to help with the dissemination of information. The Society explains that the Gardasil vaccine is used to “protect against two types of two types of Human Papilloma Virus that cause seven in ten of all cervical cancers”. The Irish Cancer Society points out that many studies have been conducted to ensure the safety of the vaccine. “The largest of these studies, conducted by the European Medicines Agency, has looked at the rates of illness among over 80 million people who have received over 200 million doses of HPV vaccine and compared the rates of these illnesses with unvaccinated people. The issue is further complicated by the withdrawal of the vaccine from the national immunisation program in Japan. Sixty-four women have filed lawsuits against the Japanese government and the manufactures of the vaccine. The Japanese women claim adverse reactions similar to those reported here in Ireland. Symptoms include widespread pain throughout the body and nerve disorders due to excessive immune responses. Merck’s information leaflet instructs patients to contact their healthcare provider should they experience certain symptoms. The REGRET girls and their parents did just that. 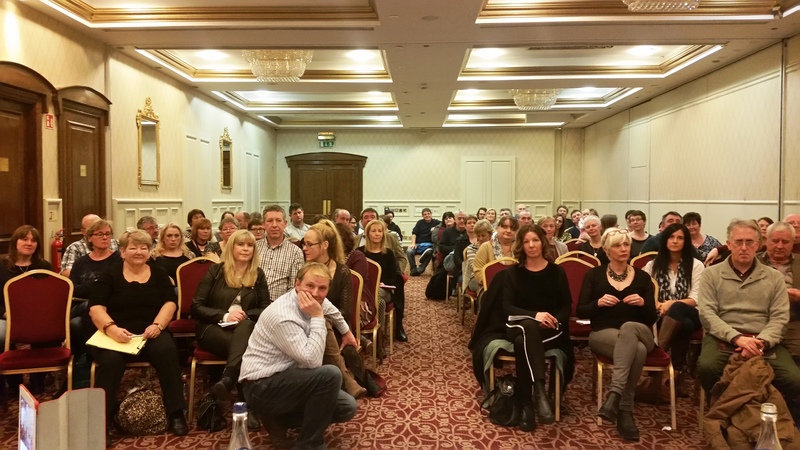 They say that their claims have been mocked, sneered at and ignored by hospital consultants, doctors and by the HSE. As the vaccination program is rolled out in secondary schools this Autumn many parents will be uncertain about its safety. Did the HPV vaccine cause the REGRET girls to become ill? The truth is that we really don’t know. One thing is certain; the HSE seem quite determined to refrain from any debate on this issue. Dr Joyce Rubotham (PhD) is a former researcher in Trinity College and a mother. What a great article. Pap smears were working just fine at preventing cervical cancer. There should be an educational program on sexual health and pap smears instead of spending millions on this vaccine every year! The girls will still need pap smears so it’s not even cost effective. Even if one child is disabled, the vaccine program should be suspended, let alone over 400!! This is a national disgrace. Ticking Time Bomb!! Thanks Valerie. This is a very sensitive issue and we are glad you liked the story. Keep reporting on it and please don’t cave to pressure from organizations like the ICS who receive funding from Merck and have blatant conflicts of interest. One child suffering ill effects is one too many. The Precautionary Principle should apply here and the vaccine should be removed from schools at the very least, pending an investigation. There is blood on someone’s hands here, it needs to be investigated before some girl dies. There have been deaths in the US and compensation by the US government paid out. I can send you back up for that if you wish. Thank you for reporting so fairly on this. This vaccine has never been proven to prevent a single case of cancer. Scientists expect other strains of HPV (there are approx. 100) will substitute types 16 & 18 in the vaccine. cervical cancer rates in the UK are 9/100,000. Deaths have reduced from 8 to 2/100,000 over the last 40 years with no vaccine and a current Pap screening rate of just 80%. Screening is still necessary after vaccination. Serious adverse reactions, many with permanent disability or even death, are c.2,500/100,000 immunized. Even the manufacturers acknowledge this. See Merck’s ‘Highlights of Prescribing Information’ for Gardasil 9. Our own daughter was seriously disabled by this vaccine 5 years ago and is in hospital very unwell today. In teh UK the JCVI, MHRA, EMA and Department of Health deny any serious adverse reactions to this vaccine and confirm that it is safe! Then why do the MHRA inform me in a Freedom of Information request that 21,530 adverse reactions have been reported by Yellow Card, including 8 with fatal outcome? Why was Countess Mar in the House of Lords told in 2014 that 32% of adverse reactions to this vaccine are classed as serious? Why did scientist Lucija Tomljenovic find traces of the vaccine on brain tissue from girls that died without other explanation in New Zealand and the USA? Thanks for the response Steve. We will be in touch. My daughter was perfectly healthy before the hpv vaccine. We gave her the vaccine because we thought we were protecting her but were never told there could be life changing side effects. Within days of having the vaccine, she developed painful sores on the forehead and scalp, swollen glands, nose bleeds, then fatigue, tummy aches developed, weight loss, painful periods, hair loss etc. She now has chronic fatigue syndrome and it has dramatically effected her life. My daughter was once a very happy, energetic young girl. It’s very hard for her to watch her friends carry on with life, having a good time, going out, playing sports, attending school, having the life she should of had. My GP also has other young girls within his practise damaged by this vaccine. Why is the HSE giving 11/12 year old girls a vaccine for an STD ?? And why are they not giving parents the Merck Patient information leaflet with full disclosure of all 25 side effects!! The HPV vaccine has injured thousands of girls and women in many countries across the world. A “celebration” of this pharmacological product is not complete without mention of the immense suffering of these girls and women, both now and in the past. Here are revelant links to TV documentaries and patient organizations in some of the countries afflicted. Then there are other countries with unknown numbers of HPV vaccine injuries, like USA (???) and Japan (at least 2000), Colombia (at least 800). All human beings have the right to make an informed choice on medical procedures. Please read the product leaflet which lists the potential side effects, and watch the above documentaries to make a more informed choice. My daughter has been effected nearly 4 years now,she has epilepsy,non epileptic seizures,pots/syncope,migraine,autoimmune disorder,low b12,low white blood cells,chronic fatigue and more all since she got this vaccine,she is only one of 400 girls in Ireland effected and thousands worldwide suffering the same side effects,how can people say we are anti-vaccine we consented to a vaccine we new very little about, as we did not get the manufacturer’s MERCK patient information leaflet that tells us all about the vaccine and all the side effects,why are people to look this vaccine up online when all the information is there in the manufacturer’s own leaflet not put in the school packs and who’s insurance covers this vaccine if your daughter is effected,lots of people are saying the schools insurance as it’s given in the schools not the doctors or health centres? 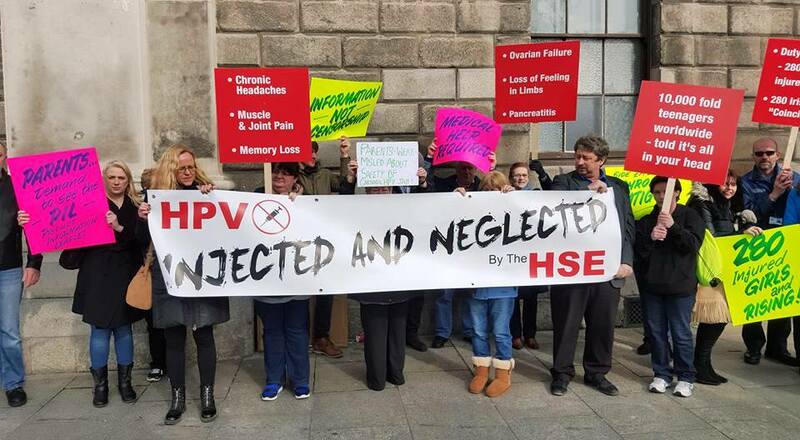 It’s not to long ago the people of Ireland were told the same about a different vaccine, look it did not effect everyone but what about the people it did effect.in all the papers and interviews has anyone asked the manufacturer’s why the people are not getting the patient information leaflet that they state you are to get. Shoddy journalism – REGRET is funded by right wing religious zealots who believe the HPV causes promiscuity in girls and supported by a coalition of “alternative” health nutters and tin foil hat types.